As a mediator, Nate values confidentiality, creative processes, cost/benefit analyses, communication and collaborative efforts, counsel-working meetings, professionalism, trust, and clear settlement agreements. Nate lectures and presents on a variety of ADR topics, including “social media in mediations,” negotiation tips, dealing with difficult personalities, professionalism and ethics (Professional Mediation Institute, Orlando, FL; Utah Council on Conflict Resolution; Utah State Bar). 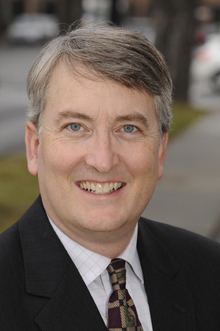 He co-founded and later chaired (’03-’04) the Dispute Resolution Section of the Utah State Bar. He is a past chair of the Utah Council on Conflict Resolution (UCCR) and served on that board from 2004 to 2012. He also served on the ADR Committee of the Utah State Courts, and is a member of the ABA’s Dispute Resolution Section. He founded and continues to serve as chair of his firm’s Dispute Resolution Practice Group. He has served as Special Master in significant commercial cases, and has also been a group facilitator for numerous community groups and nonprofit organizations. Nate is a uniquely qualified mediator because he maintains a full-time civil litigation practice, representing both plaintiffs and defendants. A shareholder at Christensen & Jensen since 2001, he remains committed to representing both plaintiffs and defendants in various legal matters. For example, he has represented individuals and families in multi-million dollar injury and damage cases while also handling defense matters for some of the nation’s most recognized corporations. His commercial litigation experience involves handling both claims and defenses along a spectrum of legal areas. Nate’s abilities on both sides of a case give him a special perspective, thus he is able to help parties better understand the mediation process, see pros and cons, be realistic and timely achieve appropriate results. Nate was elected by Utah’s lawyers to serve as president of the Utah State Bar during 2008-2009 which saw the tumult of the economic recession and tremendous strain on the profession. He handled delicate issues that year but was also fortunate enough to be at the helm when the Court and Bar launched the New Lawyer Training Program (mentoring) which later received the ABA’s E. Smythe Gambrell Professionalism Award (2013). He has served in other capacities, including as Bar Commissioner (2003-2010) and as president of Utah’s Young Lawyers (2001-2002). His bar president colleagues chose him to serve as president of the 16-state Western States Bar Conference in 2012-2013; he has served as president of the National Caucus of State Bar Associations (2014-2015), and as chair of the National Legal Mentoring Consortium (2017-2018). He served on the Utah Supreme Court’s Advisory Committee on Professionalism (2002-2014) and the Utah Supreme Court’s Committee on New Lawyer Training (2010-2014). He is a former Utah Bar Examiner and member of Utah’s Admissions Committee. In 2011 he was appointed to the ABA’s Standing Committee on Professionalism, and in 2016 to the ABA’s Center for Innovation (Governing Council). He also serves in the ABA’s House of Delegates. Nate is on the Executive Council of the National Conference of Bar Presidents, is NCBP Treasurer, and served as chair of NCBP’s Diversity Committee, as well as chair of NCBP’s 21st Century Lawyer Committee. Nate is AV rated by Martindale-Hubbell (2005-present). Super Lawyers magazine (Thomson Reuters) recognizes him as one of “The Top 100″ lawyers in a five-state region (Idaho, Montana, Nevada, Utah, Wyoming) and previously named him one of Salt Lake City’s “Top 25” lawyers. Utah Business magazine has named him one of the state’s “Legal Elite” in various categories, including mediation, civil trial, personal injury, and pro bono. All of these recognitions are based on peer review. Nate has received several awards, including the Irene Fisher Engaged Citizen Award (Utah Campus Compact, 2005), Raymond S. Uno Award for the Advancement of Minorities in the Legal Profession (Utah State Bar, 2011), Peter W. Billings, Sr. Award for Excellence in Dispute Resolution (Utah State Bar, 2012), Heart & Hands Award (Utah Nonprofits Association, 2000), Merit Citation Award (Utah State University, 2007), Outstanding Service Award (Lawyers Helping Lawyers, 2010), Friend of the College Award (Utah State University, College of Humanities & Social Sciences, 2011), and Alumnus of the Year (Utah State University, 2014). He was also honored as a distinguished alumni speaker at USU in 2009, and as keynote speaker at the Utah Leadership Academy in 2010. After law school, Nate was honored to serve as a judicial law clerk for the Hon. J. Thomas Greene, U.S. District Court Judge for the District of Utah (1995-1996). Nate is involved in several organizations, including ALFA International’s Professional Liability Practice Group and ALFA’s Product Liability Lawyers Network, the ABA’s Tort Trial & Insurance Practice Section, the ABA’s Litigation Section, and the ABA’s Dispute Resolution Section. He previously served as Chair of the Personal Injury Section of the J. Reuben Clark Law Society (2010–2012).